Precious metals can be a great way to invest in your IRA. Over the centuries, precious metals such as gold, silver, platinum and palladium have always been a storehouse of value. Because they are tangible assets, they will always retain value. Conversely, intangibles such as stocks, bonds, ETF’s, Mutual funds and REITs all are subject to failure. In these stressed economic times, we have seen lack luster performances, and huge bailouts to save many blue chip companies. Almost every state in the union has major deficits which do not bode well for Municipal Bonds. Another issue with precious metals is the instant liquidity that is available for these metals. If a catastrophic event like another terrorist attack occurs, more than likely, the stock and bond markets will close for some time, like they did in 2001 . And if you have real estate or investments in an oil or gas wells, these are virtually impossible to liquidate in a short period of time. But precious metals can be sold in a moments notice. Even if you have metals in an IRA, you can sell anytime. Another reason to own precious metals is the enormous federal deficit and debt. Our country will ultimately have to pay off our debt by increasing our money supply and printing trillions of dollars. This has and will continue to erode the buying power of the dollar. A weak dollar makes the best case for owning precious metals in your IRA. Metals are a bona fide hedge and disaster protection vehicle. Whether we have severe inflation or deflation, a collapse of the dollar, bank failures, or terrorist attacks, precious metals have always survived and provided true value for thousands of years. Federal IRS regulations allow you to own various metals in several different forms within your IRA or 401k rollover. If you invest in coins, they must be “Legal Tender”. This eliminates any coins that would be considered “Numismatic”. By investing in pure bullion coins, you do not pay any “Coin Collectors” premium on your coins, so all your funds go to the actual metal content of the coins. Bullion bars or rounds are also approved to be in your IRA. This is wonderful for the large investor that does not want to be burdened by multiple coins, but would rather have larger bullion bars. By doing a trustee to trustee transfer, there is no taxable event when you move from one IRA to another. We can guide you in this process and make it very easy for you. 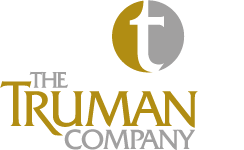 Simply call one of our expert consultants at Truman and Company at 1-877-334-4990 and we will be glad to guide you in setting up your account.